Netmarble US, Inc., the newly formed North American gaming branch of the number one mobile game publisher in South Korea, Netmarble Games Corp. (“Netmarble”), today announced it is gearing up to bring GO!GO!GO! :RACER to the global market including North America for iOS and Android devices this year. 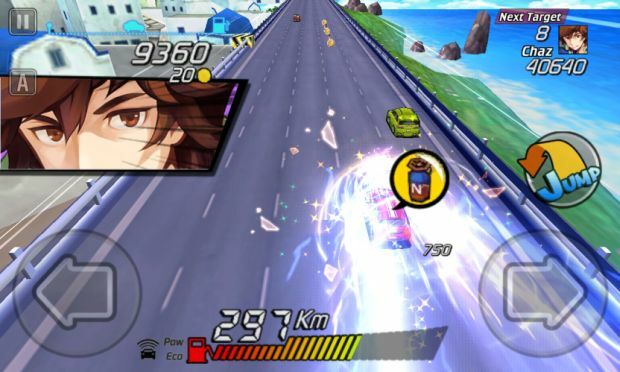 Korea’s top-grossing mobile game* Race Cha-cha-cha (“다함께 차차차”) has been updated with new and enhanced features for its debut in Western territories— the company’s “endless racer” game will thrill players with its arcade-styled gameplay fueled with high-speed racing, humorous over-the-top combos, presented in nostalgic, vibrant cell-shaded visuals. In GO!GO!GO! :RACER, players can unlock over 60 cars, collect and show off to friends and rivals alike. Each car is sleekly rendered in glorious cell-shaded detail that harkens back to classic racing themed arcade games. Drivers can launch power-ups and upgrade cars for speed or mileage, all while honing their racing skills. Every competitor left in the dust thrusts racers’ cars even faster as they jump, draft and collide to chain combos, scoring more power-ups—the game features a combo system that maximizes speed at the expense of control. GO!GO!GO! :RACER is all about doing whatever it takes to boost your chance of making it to the next checkpoint. GO!GO!GO! :RACER will race its way to the App Store and Google Play Store before end of year.